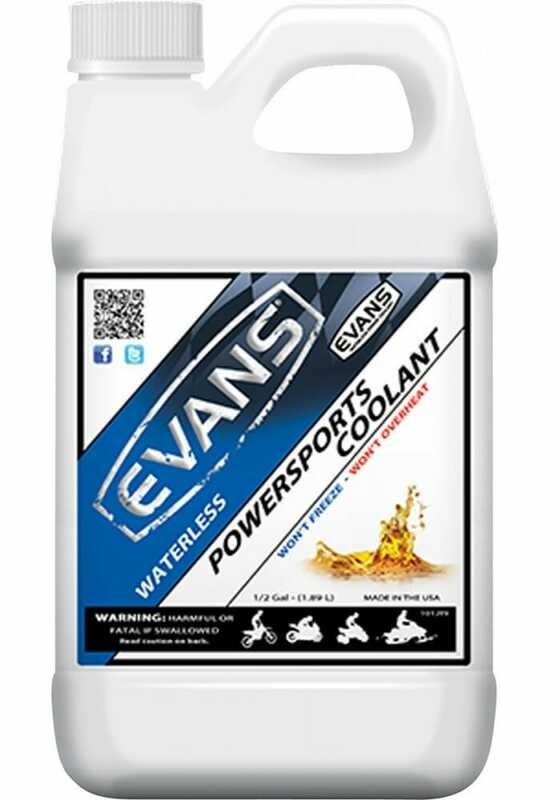 Evans Waterless Powersports engine coolant is ready to use, no water required. It contains no silicates or phosphates and requires no Supplemental Coolant Additive (SCA). The boiling point is above 375 degrees and its antifreeze properties protects around -40 degrees. It is formulate to eliminate system corrosion, improve combustion, maximize HP, prevent boil-over and freeze-burst, and it is safe for pump seals and bearings. 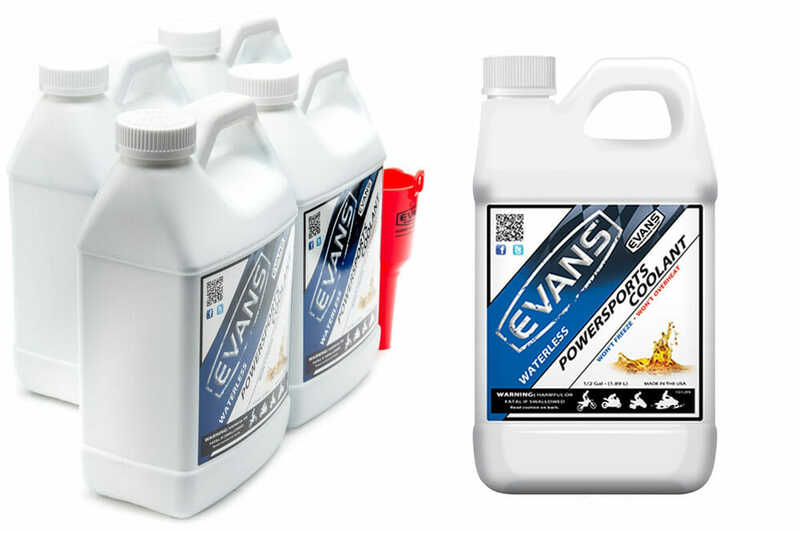 Jared Mees says he relies on Evans Coolant to win his races.